The original cabin air filter. Needs replacement periodically depending on the enviroment and the routes. 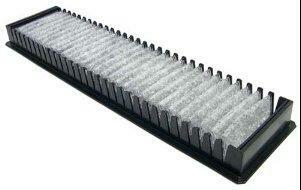 A clean air filter keeps away from the passengers the dust and odors. Also, helps at the ventilation of the cabin.